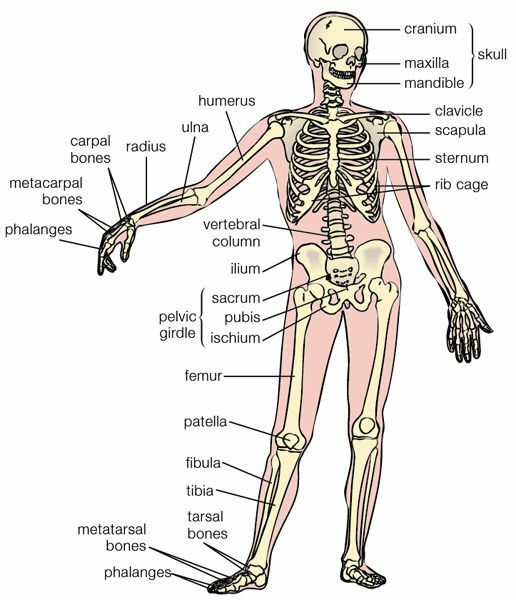 Question: How many bones in the body? Question: How many bones in the face? Question: Of what use are the bones to the body? Answer: They make the body strong; they form the framework of the body. Question: How many bones in the ear? Question: How many bones at the root of the tongue? Question: How many bones in the fore-arm? Question: How many bones in the upper arm? Question: How many bones between the wrist and the knuckles? Question: How many bones in the thumb? Question: How many bones in each of the fingers? Question: How many bones in the whole hand? Question: How many bones in the hand and arm? Question: How many bones in the thigh? Question: How many bones in the lower leg? I like the valuable information you provide in your articles General Knowledge Quiz Questions with Answers – About The Bones – part-2 I'll bookmark your weblog and check again here frequently. I am quite certain I will learn many new stuff right here! I read this article General Knowledge Quiz Questions with Answers – About The Bones – part-2 completely regarding the comparison of most up-to-date and preceding technologies, it's amazing article. Thanks for publishing.